Karenda started her insurance career in 1982. Karenda has worked in almost every aspect of the insurance field. Her career began in personal lines and later transitioned into claims; it is here that she developed significant knowledge and expertise in the commercial and agribusiness insurance field. 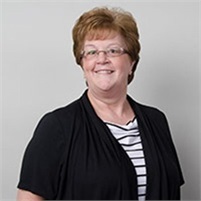 She has put her knowledge and people skills to use by working for several agents in the commercial lines department as well as handling the commercial line’s claims.